Make an appointment with our specialist, and get the first hour free. Drywall is a perfect example of "Cheap=Expensive"
Anyone can repair drywall, but only some do it right. No crack lines or off-color paint. One hole, one room, one home? 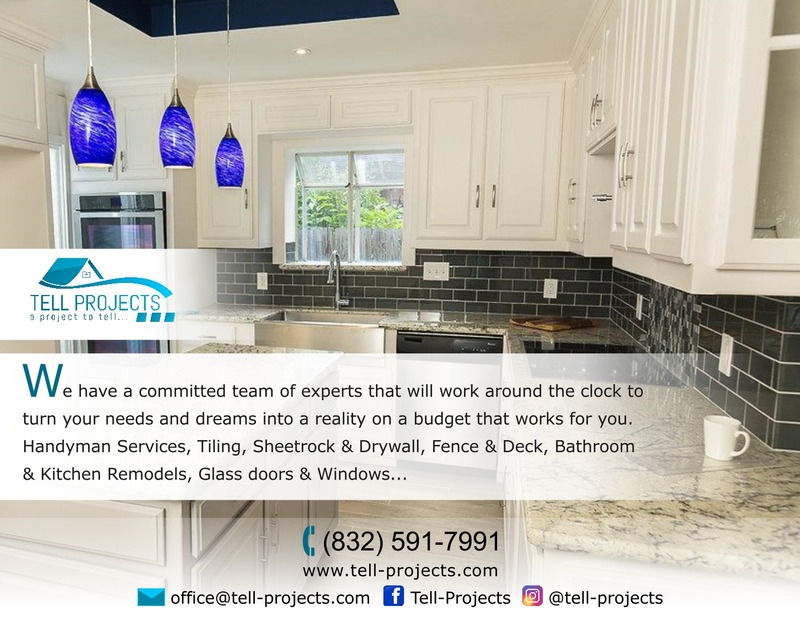 Tell-Projects. Offices, pantry or home libraries-- Tell-Projects can do it all. We repair and install all doors. Interior or exterior. A clean exterior changes the atmosphere of your home and outdoor entertainment area. The safety, security and privacy of your home and yard. All on your budget. The car, the boat, the grandchildren! A small gutter repair or replacement can save you thousands on foundation repairs and flood damage. We clean, repair, and paint gutters. Mold, mildew, fungus, paint chips and bubbles can all be saved by a fan or vent. The safety of your family and home is our #1priority. Keeping your smoke and carbon monoxide detectors up-to-date can save an entire family. A clogged garbage disposal can cause sever damage to your plumbing and pipes. It will also leave an unpleasant smell lingering throughout your home.